Nepal will take on the Maldives in the first semi-final of the SAFF Suzuki Cup 2018. The two teams have had contrasting roads to the semi-final. 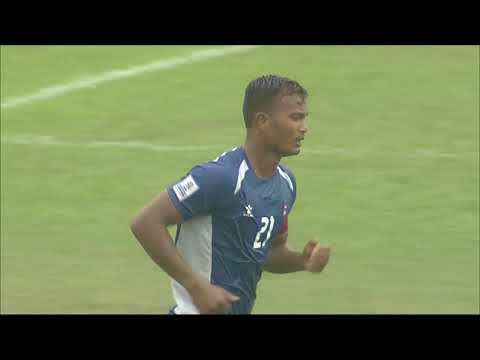 Nepal showed attacking prowess to top Group A. They lost to Pakistan narrowly (1-2), smashed Bhutan 4-0 and crushed the dreams of the host nation, by winning against Bangladesh 0-2. On the other hand, the Maldives drew Sri Lanka 0-0 and lost to India 0-2, and reached the semi-final essentially on luck, after they won the coin toss against Sri Lanka. Bal Gopal Maharjan is confident in his high-flying Nepal side and said in the pre-match press conference, "We have never been in the final of this competition before, but I feel confident about tomorrow's game. I think tomorrow can be the next story in Nepali football. The players have the potential to perform. My players look motivated to perform and I have confidence in them. We can score more goals tomorrow and reach the final". Petar Segrt admitted his side will feature in the semi-final of the competition because of luck but his side will play for a result tomorrow. He said, "Nepal is a strong team. We'll try our best to reach the final. It was luck that we qualified for the semi-final but we must now play for the result. We'll change our system and work on a few things". The Maldives will be aiming to reach their first final of the SAFF Suzuki Cup since 2009 – since then, the Maldives have lost each of their three semi-finals they have appeared in (2011, 2013 and 2015), but head coach Petar Segrt insisted he doesn't care about any past records. "I don't care about past records, the future is important and tomorrow we will try to win the match, maybe in 90 minutes, 120 or on penalties," he added.